​Darren Rovell took to Twitter with an interesting take yesterday after ​Amanda Nunes took down Cris Cyborg 51 seconds into the first round at UFC 232 in Los Angeles. Rovell claimed that the fact that Nunes took down both Cyborg and Ronda Rousey was damaging to the UFC because he feels that Nunes isn't as marketable for the sport as her two competitors. Nunes isn't in the same marketing ballpark as either of those two. 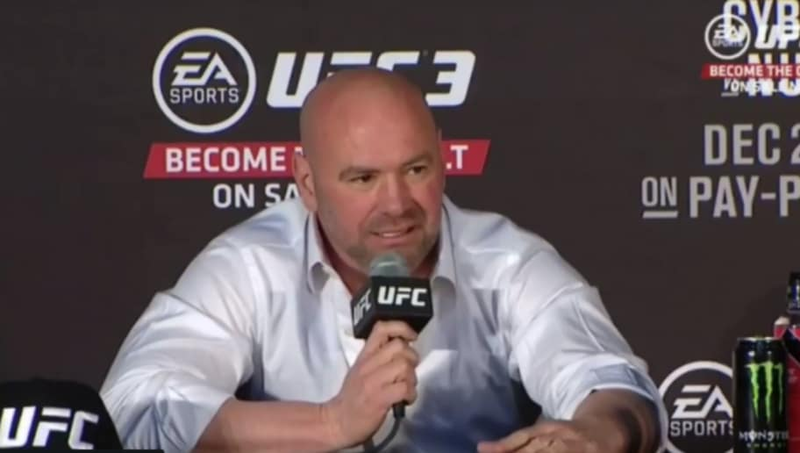 ​​​Dana White got wind of the comments made by Rovell and took a shot at the Action Network analyst in a press conference following the event. White called Rovell an idiot and asked "What the f*ck does Darren Rovell know about fighting?" Clearly he was unhappy with the comments and he let Rovell know exactly how he felt when addressing the media. White wasn't having any of Rovell's comments and he was quick to shoot down the idea that the outcome of the fight had damaged the UFC in any shape or form.